This entry was posted in Bad Blood, Magazine Scans by Pix. Bookmark the permalink. How many issues of PC Leisure magazine do you have? There’s very little info about it on the web, aside from Thunor’s scans [http://www.users.waitrose.com/~thunor/vintagemags/index.html]. Please consider scanning any issues you have to preserve this great magazine. I’ve nothing that isn’t already on Thunor’s site I’m sorry to say. If I ever see any for sale I’ve every intention of snapping them up but that probably won’t ever happen. 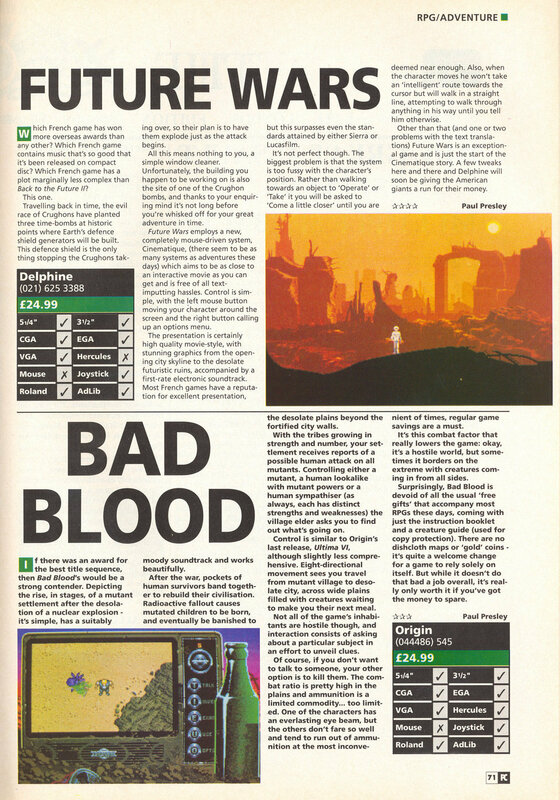 Other than that the oldest PC gaming mags I’ve got are a load of PC Reviews starting around issue 6 or 7.